Jennifer Sessions earned her Ph.D. in history at the University of Pennsylvania and her bachelor’s degree in history and literature from Harvard and Radcliffe Colleges. Jennifer Sessions is Associate Professor of History. She is a historian of modern France and its colonial empire, with an emphasis on French relations with North Africa, particularly Algeria, and interests in comparative empires, settler colonialism, and cultural history. The French Colonial Historical Society awarded Sessions the Philip and Mary Alice Boucher Prize for her first book, By Sword and Plow: France and the Conquest of Algeria (Cornell University Press, 2011). She is currently working on two projects about French settler colonialism in Algeria: a microhistory of a 1901 revolt by Muslim Algerian colonial subjects in the colonial village of Margueritte and a study of the French equestrian statue that stood in the center of Algiers from 1845 to the end of the colonial period. 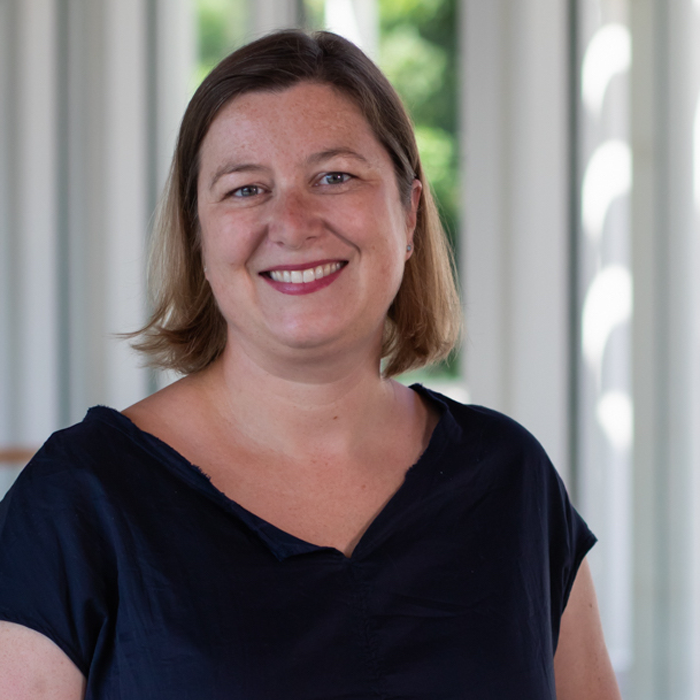 Sessions’s research has been supported by grants from the National Endowment for the Humanities and the Harry Frank Guggenheim Foundation, and she has held fellowships at the John W. Kluge Center for Scholars and the Institut d’Etudes Avancées de Paris. She served as president of the French Colonial Historical Society from 2016 to 2018. Before joining the faculty at UVA, Sessions taught at the University of Iowa. By Sword and Plow: France and the Conquest of Algeria. Ithaca: Cornell University Press, 2011. Editor, with Naomi Andrews, “The Politics of Empire in Postrevolutionary France,” a special issue of French Culture, Politics, and Society 33, no. 1 (2015). “Resistance: Choices in Empire, 1780-1920.” In A Cultural History of Western Empires, vol. 5, A Cultural History of Western Empires in the Age of Empire (1780-1920), Kirsten McKenzie, ed.. London: Bloomsbury, in press. “Repatriating the Duc d’Orleans: The Entangled Politics of Postcolonial Commemoration,” in Algeria Revisited: History, Culture, Identity, Rabah Aissaoui and Claire Eldridge eds.. London: Bloomsbury, 2017, pp. 193-211. “Débattre la licitation comme stratégie d’acquisition des terres à la fin du XIXe siècle.” In Propriété et société en Algérie contemporaine. Quelles approches? Ed. Didier Guignard and Isabelle Grangaud. Aix-en-Provence: IREMAM, 2017. “Colonizing Revolutionary Politics: Algeria and the French Revolution of 1848.” French Politics, Culture, and Society 33, no. 1 (2015): 75-100. With Naomi J. Andrews. “Introduction: The Politics of Empire in Post-Revolutionary France.” French Politics, Culture & Society 33, no. 1 (2015): 1-10. With Ruth Ginio. “French Colonial Rule.” Oxford Bibliographies: African Studies. Ed. Thomas Spear. Oxford University Press, 2015. “Le départ des colons avant la IIIe République: peupler et mettre en valeur l’Algérie.” In L’Histoire de l’Algérie à la période coloniale, 1830-1962. Ed. Abderrahmane Bouchene, Jean-Pierre Peyroulou, Ouarda Tengour and Sylvie Thénault. Paris: La Découverte, 2012, pp. 64-69. “Le paradoxe des émigrants indésirables pendant la monarchie de Juillet, ou les origines de l’émigration assistée vers l’Algérie.” Revue du XIXe siècle, no. 41, special issue on Algeria in the conquest period (2010): 63-80. “‘Unfortunate Necessities’: Violence and Civilization in the Conquest of Algeria.” In France and Its Spaces of War: Experience, Memory, Image. Ed. Patricia Lorcin and Daniel Brewer. London: Palgrave Macmillan, 2009, pp. 29-44. “Ambiguous Glory: The Algerian Conquest and the Politics of Colonial Commemoration in Post-Revolutionary France.” Outre-Mers, revue d’histoire 94, no. 350-351 (2006): 91-102. “L’Algérie devenue française: The Naturalization of Non-French Colonists in French Algeria, 1830-1849.” Proceedings of the Western Society for French History, 30 (2002): 165-177.